Horse-whispering, marlin fishing and a chance to spin some tracks at London´s legendary Ministry of Sound are among the most unusual experiences currently being booked by corporate event planners. 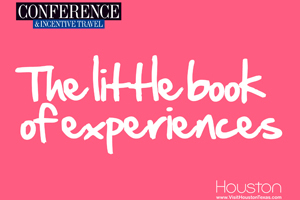 Conference & Incentive Travel (C&IT) asked its readers to identify their top experiences in the search to find the most unusual incentives currently being booked by corporates. A selection of these appear in C&IT´s Little Book of Experiences. Commented editor Yasmin Arrigo: "C&IT´s readers have identified a range of quirky yet aspirational incentives that take place across the globe. Furthermore, in a year defined by economic turbulence, C&IT´s Little Book of Experiences packs a motivational punch in the direction of anyone questioning the importance of incentive spend."